The typical knee-jerk reaction is already in full force. Less than six hours after the last shell casing hit the ground on the campus of Umpqua Community College, our President was at his pulpit, once again demanding the further erosion of our Bill of Rights. Beyond talking about himself at least 28 times in his 12 minute diatribe, he gave us a clear glimpse into the future he wants for America — to make it more like Australia. He used the phrase, “common sense gun control,” within the same breath of our allies like Britain and the land down under. It may sound innocuous, but Charles C. W. Cooke extols the danger of such a comparison. When used this way, the president is advocating the confiscation of guns. Pandering to the emotions of the moment, it’s hard not to get caught up in the zeal to “do something” to prevent another gun-involved tragedy. Rather than spend a lot of time showing how the data of Australia’s great gun grab of 1996 shows a negligible, if non-existent, improvement in homicides and suicides by gun, as demonstrated by Mark Antonio Wright, let’s look at how the Left’s policies are already in place in tens of thousands of locations here in the United States. The Left has already begun to implement their desired goal of removing all guns. Unfortunately, in all but 8% of the public mass-shootings in this country (defined by the FBI as 4 or more killed in a public space) in the last decade, their solution fails. Much like Australia’s goal, to eliminate the citizenry from owning firearms, the creation of the gun-free zone is the penultimate step to a repeal of the 2nd Amendment. However, 92% of these mass-shootings in the last 10 years have all taken place right where Leftists believe they will not. 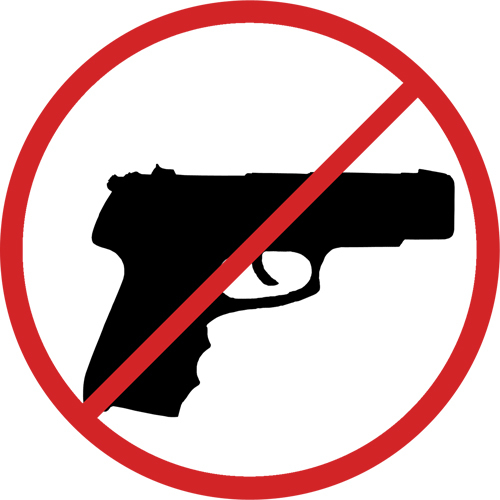 The purpose of the gun-free zone is to prohibit any unauthorized individual from knowingly possessing a firearm at a facility or location so designated. Many of these are schools, but there are thousands of businesses, both public and private, that have adopted this policy to insure safety and security. They post the familiar sign of a gun with the red circle and slash on walls, doors and hallways, designating firearms are not allowed. And, as law-abiding citizens are wont to do, those who normally carry or posses a firearm leave those weapons at home or, at the very least, in their vehicles parked outside of these marked zones. Often with the policies of the Left, it’s all about the intentions and never about the results. They always want to “do” something, but they never look at the consequences of their actions. They simply pander to the tyranny of the emotions of the present, slap themselves on the back for “doing” something and then they move along to the next issue, never looking back at the damage left in their wake. We can look back at all of the recent mass-shootings and see the pattern. They plan their attacks months (sometimes years) in advance. The perform detailed surveillance over the targets they choose and in 92% of the cases, they pick places where they are comfortable knowing no one will be able to shoot back. How many remember the shooting at Clackamas Town Center Mall in Portland, Oregon in December of 2013? A shooter opened fire during one of the most crowded times of the year, killing two people before a concealed-permit holder stopped him by drawing and pointing his own gun at the assailant. That simple action halted what was sure to become a scene of mass-shooting. The national media, as they typically do, ignored the event. After all, it goes against the narrative that guns are bad. These incidents share the same modus operandi. A crazed, mentally ill individual chooses a location where the odds of armed retaliation are small and proceeds to immortalize himself or herself in the annals of mainstream and social media. Yet, when they do come across one of the “good guys,” the human toll is always mitigated if not eliminated. I could list instance after instance where a licensed and armed citizen in recent years prevented a mass-shooting tragedy. False is the idea of utility that sacrifices a thousand real advantages for one imaginary or trifling inconvenience; that would take fire from men because it burns, and water because one may drown in it; that it has no remedy for evils, except destruction. The laws that forbid the carrying of arms are laws of such a nature. 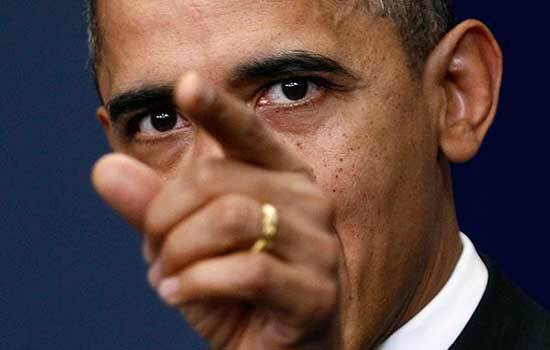 They disarm only those who are neither inclined nor determined to commit crimes. Such laws make things worse for the assaulted and better for the assailants; they serve rather to encourage than to prevent homicides, for an unarmed man may be attacked with greater confidence than an armed man. I could not have said it better. The experiment of the gun-free zone has run its course. If we are ready to face this issue with a serious, logical and reasoned disposition, it is long past time to bring this practice to an end and focus on the treatment of the mentally ill and insuring adequate training of law-abiding citizens. Banning guns is not only a facile argument, but also one meant only to pander to the low-information crowd in hopes of political gain. After all, that’s what President Obama himself said was his goal — the politicization of this issue, not it’s actual solving.